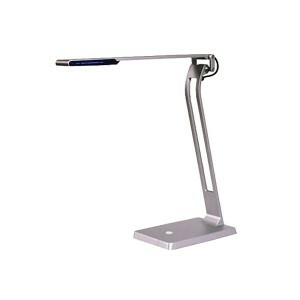 Lumiram LED True Color™ Desk Lamp - Embrace the future with the Lumiram True Color LED™ Reading Desk Lamp. Dimmable one touch control, 280 Lumens. Delivers LED energy efficient white light to your home office or workplace. BRUSHED SILVER. Lighted touch screens changes colors when set in different modes.